2011 saw the first ever New York Bakery Breakfast Club featuring a 20-minute performance of the much-loved American high-school musical Grease. This year to bring a taste of the Big Apple to the UK, New York Bakery Co has signed up New York band The Drums to treat you to an exclusive early morning gig, featuring some of their best known songs, over a bagel breakfast. 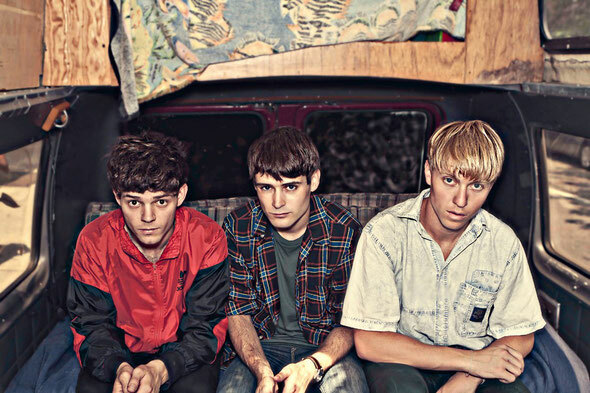 The Drums will travel from Brooklyn to London to serve up a bite-sized slice of entertainment on Thursday 1st March 2012 for hungry Londoners who want to kick start their working day the New York way. You can be the first to get the exclusive free tickets by signing up to the New York Bakery Co Facebook page at www.facebook.com/newyorkbakery. The 20-minute acoustic set will feature songs from their debut self titled album and 2011’s ‘Portamento’ and is a unique opportunity to see the band at an intimate London venue during their hugely popular tour. The early morning gig will start at 08:15am at Floridita, 100 Wardour Street, London, W1F 0TN and you can get free tickets for you and a friend by emailing your interest to thedrums@breakfastbagels.com. Doors will open and a bagel breakfast will be served from 08:00am.